Walk your way through the creativity of the Castro! Join Art Attack SF on Thursday, November 1st for the Opening Reception of "Daydreamer," a pop-up exhibition featuring new work by Cat Sommer. The exhibition is on view October 31st-November 25th, 2018. Berkshire Hathaway Home Services Drysdale Properties is hosting portrait artist Tracy Piper. Blush! will be showcasing the photography of Gabor Beszeda and live jazz by Americano Social Club. Brewcade hosts permanent installations by Kate Wakeman and a group of artists led by Don Fluitt. The Castro CBD will be hosting a classical duo by Be.Musical from 6-7PM. Dog Eared Books will have badges and buttons, t-shirts and live screen printing by Richard Nyhagen. We’re so excited to have Flore join the Castro Art Walk this month. 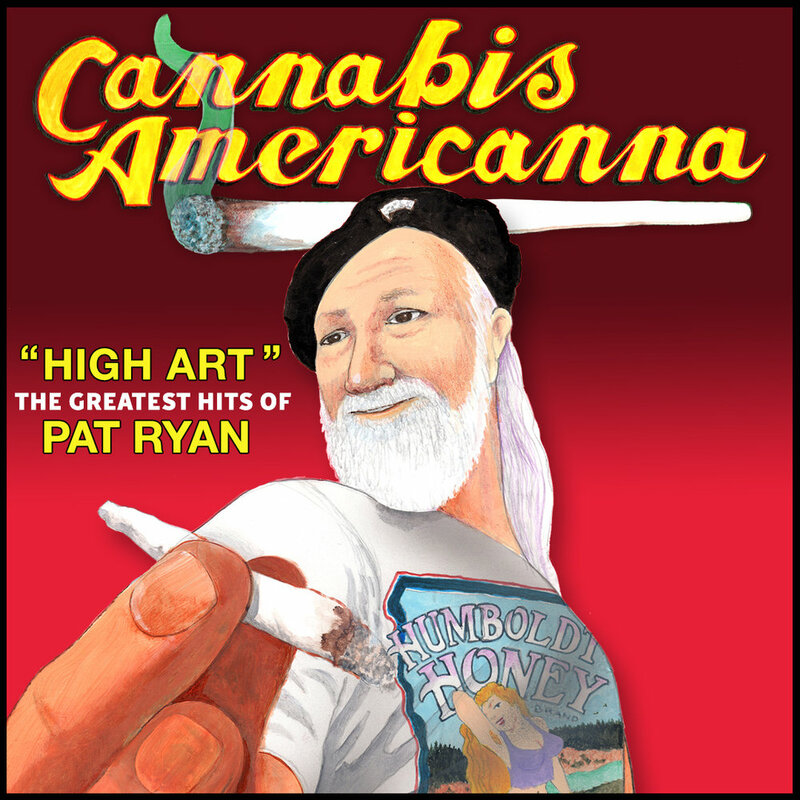 Stop in to check out their cannibis themed exhibit by Pat Ryan. A statement from Rick: I have many different influences: the study of organic properties, urban landscape, and fragments of the past. All of these are abstracted on the canvas and are random renderings of my subconscious. There may be some preconceived idea about what I am portraying, but the approach is always spontaneous. Choose from a rainbow of colored glass to create your very own sundrop necklace at the next Castro Art Walk! Join Tawny from Sundrop Jewelry for a fun and creative evening. She will be on hand to help you create and design your own custom jewelry. Come join the fun and take a piece of sun-kissed magic home. For those who don't like too much choice, there will also be plenty of pre-made necklaces to choose from. Norden Living welcomes guest artist Bill Samios. Ruby's Clay studio will host Dale Eastman for SF Open Studios. Exhibit runs Oct. 31-Nov. 13. Jesse Reyes was attracted to graffiti at the young age of twelve when he first started carrying a sharpie everywhere he went. The lawlessness, excitement, freedom of expression had captivated him and wouldn’t let go. His work often incorporates graffiti tools like spray paint, mean streaks, and ink mops in addition to more traditional mediums like acrylic and oil. In his first solo show, Reyes explores the intersectional dynamics of self-identity and his Mexican-American heritage through a series of colorfully visceral paintings, four personal identity flags, and an ofrenda to his deceased grandfather/America. Through these the artist explores his own heritage which, as a 5th generation Mexican, is often foreign to himself. Through the Dia De Los Muertos holiday, Reyes explores meaning and intention of traditional ceremony in the context of self-identity shaped by pop culture, politics, and fine art references. Traci Hollander’s office will be showcasing work by Keith Hollander. The New Harvey Milk Plaza will be participating in the October Castro Art Walk on October 4th, 6-9pm. View renderings and a fly-through animation of the proposed conceptual design that resulted from four community meetings held earlier this year. Presented by the Friends of Harvey Milk Plaza and Perkins Eastman Architects. Located at 3989 17th Street, at Jane Warner Plaza.